This edition of the Unique Property Bulletin has an article about a unusual way of life – Two Summers No Winters. How is this accomplished? Live 6 months in the northern hemisphere during summer, then winter in the southern hemisphere, where, of course, the summer south of the equator is October to March. Six months down under for a second summer each year. Thereby achieving life with Two Summers and No Winters. There are many variations on location, timing, duration of stay, styles of building. But this week we have a definitive set of buildings suggested by one of our readers and a relatively solid set of proposals to study. If, after reading the article on Two Summers No Winters below, you would like to go on our special email alert list, or even if you have supplementary questions, please feel free to get in touch with Unique Property Bulletin: Click Here. Also, if you find a group of candidate properties that would make the Two Summers No Winters initiative work for you, please let us know and we shall do our best to see how many readers of a like minded persuasion can look at joining in with you. Two Summers In Spectacular Settings. More details in our regular Unique Property Bulletin article at the foot of the page. It may be rare with the new fortnightly frequency Bulletin – perhaps not so rare given last week’s exceptional lot which was added on the Tuesday following the main Bulletin published on Sunday 31st August 2014. After we uploaded the last edition, we had the amazing Limeworks come to our attention. It was due for auction in a short timeframe so we didn’t want to compromise any of our readers’ chances of buying this incredible building and an amazing discount price with any unnecessary delay including it in the Bulletin. The answer? We simply added this to the “live” Bulletin midweek. So it may well be an idea for you to check out the Unique Property Bulletin on a regular basis in case we need to add any extra special lots to any given edition of the Bulletin during the live duration of each issue. Just to make sure you don’t miss anything! This is a magnificent and creative structure made into a fabulous home. Please can you mention you saw this property in Unique Property Bulletin. Many Thanks. These actual Grand Design buildings are always a treat to feature. To have two in the one issue of Unique Property Bulletin is a little bit special. Many readers will remember this one. Especially the view from this marvellous Longhouse home. Did Beeching Cut Too Deep? We love railway stations. So, it would seem by our regular in-tray of wonderful reader email do many of our Unique Property Bulletin visitors. Though this particular old station has a very nice interior, but the exterior seems to have suffered quite badly from Dr Beeching. Did the doctor get it wrong here at this old Gainsborough Road Railway Station? Not just with his savage cuts to the British Rail network, but this station has lost a lot of it’s original charm – at least from outside – and might benefit from a railway aficionado to come along and restore it to it’s former heritage and glory. For Bulletin readers who prefer their unique property fully converted and/or renovated ready to move into. 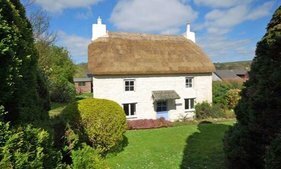 Here we have a delightful former Methodist Chapel now a 4 bedroom home full of character and charm. Contact – Fulfords Agency Tel: 01822 649 473. Firstly, a sincere thank you to all readers and friends who have emailed in to us during this past fortnight. As many will know we are moving from a weekly edition to a fortnightly edition for the remainder of the year until we review the way we produce the Bulletin. In the meantime, the move from an edition once a week to once a fortnight is already having solid and constructive effect upon the volunteers who keep the website going. After 25 years on the journey and the last two and a half years at maximum revs., with the new online version, all the volunteers here are needing a bit of a slower pace. Fortnightly is helping a lot for the time being. In Bulletin edition 27 July 2014 we promised readers an update when our heads-up of a forthcoming sale came to fruition. We can now advise that this exceptional building is formally on the market and has a lovely photographic feast in the sales particulars. Can You Name This Old Lighthouse Tower ? The first correct entry for the name of this tower – out of the hat – wins the prize. PLEASE NOTE: The prize is NOT the building, just the £20 note. Sorry we haven’t reached the level of prize value that enables real buildings to be awarded to winners. Yet! This interesting structure jumped off of the page when we were enjoying a read of the excellent E-Architect website. 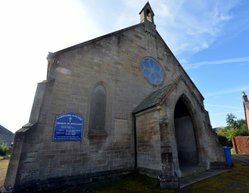 Whilst this example building isn’t for sale, it gives inspiration to those who either own, or are looking at purchasing a boathouse. We know of a boathouse elsewhere coming up for sale at around £50,000 and should be listing this on the Bulletin in the coming months. For this edition it is a pleasure to feature this fine firm of architects, and of course the owner of Loch Tay Boathouse who put together the whole project from purchase to completion. 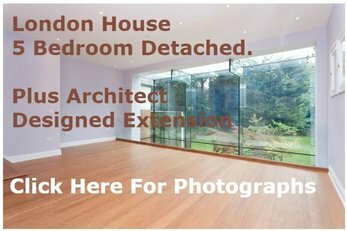 Further details of the architects portfolio please Click Here. Please Note: It is the Cottage for rent NOT the Lighthouse Tower. We regularly advise readers who are of the lighthouse – or indeed any unique coastal property – persuasion to consider trying before buying in case the lifestyle isn’t to their taste. Also it saves a lot of money in buying a new home which you end up not likeing in the way you first thought. Though from experience, the majority of friends and readers who do try something like this, really enjoy the experience. For this Unique Property Bulletin we are delighted to revisit our Two Summers No Winters initiative. Regular readers will know of our passion for this way to live. Life is short and what a wonderful thing to have two summers each year and no winters. As we head into autumn in the UK, it is timely to look again at this seasonal way of life. Especially as we have a Bulletin member already wishing to go this way. A few weeks ago three Unique Property Bulletin readers clubbed together and put in a formal offer to buy the Dunnet Head Lighthouse Compound. Sadly for our triumvirate of plucky friends, the owner of Dunnet Head accepted an alternate offer. Notwithstanding this minor setback our readers – a hardy lot – were, and are not dissuaded. One is currently working in Australia and wishes to return to the UK – at least for part of each year. 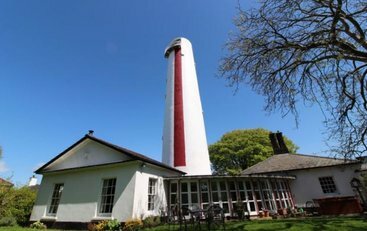 After the disappointment of the Dunnet Head Lighthouse Compound offer, he sent us this interesting lighthouse building currently for sale in the Southern Hemisphere at the spectacular island of Tasmania. This email from our friend re-ignited the Two Summers No Winters endeavour. To explain to newer Bulletin readers, the principle is to spend six months of the year in the UK and 6 months in the southern part of the world. Thereby avoiding any winters and enjoying the delight that is forever a life of summers. Of course this style doesn’t suit everyone. Though we would heartily recommend it, for example, to grandparents who have kids that emigrate from the UK to Australia or New Zealand [and vice versa]. You may have seen the scenario on some of these “Wanted Down Under” types of television genre. You know – the dramatic point in the programme where the grandparents are placed in a horrendous position of going in front of the camera to say how they support their sons and daughters in a new life down under. But you can see the utter heartbreak in their eyes at the thought of not seeing their grandchildren grow up or be a part of their life to any meaningful extent. Let alone losing a large part of life’s connection with their children. Well our answer to that is s*d the cruel sections of these television programmes. Consider selling the big house which as Empty Nestersyou may no longer need and think about buying two smaller houses? One in the UK and one in New Zealand, Australia or wherever your kids may be emigrating to. Here at Unique Property Bulletin this seems the most elegant solution to a heartrending problem. Not that we set out on this path to that end. Originally a friend from Britain married a lady from Australia. They spent 6 months in summer at their UK home and the other 6 months of what is effectively an Australian summer down under. My friend said he loved never having to live in winter. Ever! Hence Two Summers No Winters. That was a discussion I will never forget. It has imprinted in a way that has been added on the “to do” list of life. Still trying actually. Hence this article. Given the vagaries of buying any particular property, it is important to be flexible. Goodness knows after three decades buying unusual places to live there have been moments of utter delight when a purchase of something really unique has gone through, contrasted with the disappointment when an offer isn’t accepted. C’est la vie. Well our friend working in Australia has demonstrated commitment and to be frank an impressive determination. We witnessed this first hand with his dedicated and thorough involvement with the Dunnet Head Lighthouse Compound offer. In addition to our friend who is looking to buy ONE of the Tasmanian Lighthouse Cottages, we know there are a lot of readers interested in this sort of thing as a result of our happily full email mailbag. There are currently a few properties that fit the Two Summers No Winters ideal. To answer: So where are we now? We are at a place where all the ingredients join up. 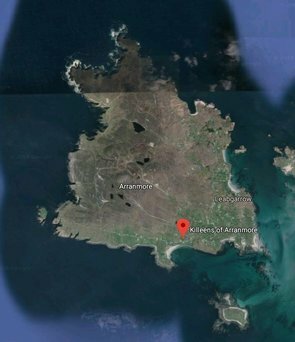 Consequently it might be a thought – if you like the idea – to study the UK Point Lynas Lighthouse Compound and also the Australian Lighthouse Cottage counterparts at Low Head Road, Tasmania? Then let us know if you fancy joining in? There are enough unique homes to accommodate the Two Summers No Winters principle for any preferred or given genre – castles, coastguard station, railway stations etc. Though if this particular set of unique lighthouse properties in this issue of the Bulletin interest you, please don’t delay in getting in touch. Just: Click Here. Of course it doesn’t need to be the lighthouse style of unusual property. But the idea is sound. It works. We know it does as there are two good friends out there, commuting once every six months between Australia and Britain, living that amazing style of life. This is excellent news as we, or rather our lawyers, if needed, are very well experienced in distilling complex lighthouse compounds into separate individual lighthouse cottage ownership. So what would Two Summers No Winters cost you in this workable example? As mentioned, the Australian lighthouse property on Tasmania already has one of our Bulletin member looking at buying the first lighthouse keepers former dwelling. The remaining one works out at approximately half of AUS$320,000. 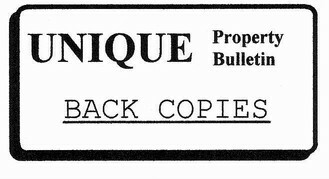 So for ONE of the Tasmanian houses the guide cost at time of publication converting AUS$160,000 would be £91,900. The Anglesey Lighthouse Compound at Point Lynas is a much more substantial proposition. Not least because it is set in around 17 acres and has twice as much property. The current cost of the whole is £1,3750,000. As indicated, the owner has just confirmed to us that ONE of the former Anglesey Lighthouse Keepers’ Cottages would be guided at around £375,000. So for this example, to have two glorious lighthouse homes at either end of the planet and enjoy Two Summers No Winters would total around £466,900. The island of Anglesey is a very popular part of the UK, and also a main port to sail across to the Republic of Ireland. Hopefully, this Unique Property Bulletin has given you some food for thought?. Even if lighthouse buildings aren’t quite your thing, the principle of Two Summers No Winters is still worth studying. There are plenty of unique properties in both the Northern and the Southern Hemispheres of the world. Plus a fair number in the equatorial region too. Also there is a possible answer to the point mentioned earlier in this piece: Grandparents who have kids that emigrate from the UK to Australia or New Zealand and worry about seeing the grandkids. One way or another, we reckon the Two Summers No Winters initiative is well worth exploring if you are part of the “Wanted Down Under“ television programme generation. Hopefully all of the above has been of interest and possibly some help.